I think I can relate to Esther to a certain extent is because she is an English Major, but that extent stops just right there. Right from the first page I thought her English floated like a river. Also, I felt close to the author, as if she was talking to me while I was ready to unveil her story. To me, it was raw and honest. I did not know for sure if it is because it was due to the awfully wide deviation resulted from the previous book I had read (though I'm not going to divulge information of that book here). Anything about character's mental state I am all for it. I am interested in things that make a character feel. Towards the middle of the story, it really got on my nerves when I knew a smart young woman, with a bright prospect, would turn herself into a delusional person...The process was the most painful part. It was horrifying to see her go through the whole process. 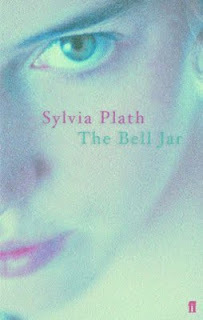 The feelings induced by "bell jar" were no less suffocating than reading the book. The protagonist Esther is living in the bell jar, and she can hardly breathe, she does not feel like herself...From this I understand why I like the Chinese translation of the book title more. ，《瓶中美人》is not a direct translation of its English counterpart, i.e. The Bell Jar, instead, it is "The Beauty Inside The Bell Jar/Bottle", which I think is more inclusive though it might not create a stirring imagery as "The Bell Jar" may. How frustrating it will be to see this potentially great film go to waste? I seriously hope that soon the filming can start...because someone (me) wants to freaking see the movie!! !